Did you know that your favorite museum is making your new favorite podcast? 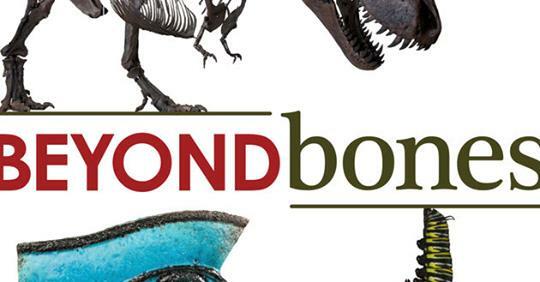 Welcome to the Beyond Bones Podcast, a science podcast that’s all about looking beyond the bones and beyond the artifacts to explore the personal stories that inspire our collections. We’re back with Season 2, and it’s going to have more episodes and more expert interviews. Season 2 drops in ONE WEEK, and in the meantime, you can like, rate and subscribe to Beyond Bones Podcast on your favorite podcast app and catch up on our inaugural season. Many of the exhibits that we house and the artifacts within them tell fascinating stories too big for a text panel, so in season 2 of Beyond Bones, we’re uncovering more of the stories that inspire us. From the intersection of music and early 20th century prison life to the historical and cultural impact of syphilis, we leave no stone unturned in our search for engaging and thought-provoking content. You can also look forward to interviews with astronomy and space exploration experts about the 50th anniversary of the Apollo 11 lunar landing and a working artist and director behind two of HMNS’s summer shows. This season of Beyond Bones will have five episodes released every other week starting March 21.
or where ever you listen to podcasts. Until next time, keep learning. Jessi works at HMNS where she is a full-time website and email manager and a part-time dinosaur mascot—no really. When she’s not juggling marketing campaigns, writing for Beyond Bones or tearing up the dance floor at Mixers & Elixirs, you can probably find her at the nearest dog park, musical theater performance or Torchy’s Tacos. Storytelling is a passion, particularly the way that words can be used to educate and inspire, so Jessi is excited to be able to contribute to the blog and help tell the stories of HMNS. Next Post New Leaf Cutter Ant Exhibit at HMNS!